So, what are the things to do in Vancouver on Christmas, or during Winter Holidays in general? November 22 to December 24 on the Queen Elizabeth Theatre Plaza. If you like small and overcrowded spaces, Vancouver 4th Annual Christmas Market, where you can enjoy the longest lineups to buy overpriced food and holiday gift items. But seriously, it’s a pretty cozy place, with carousel rides for the kids, and Feuerzangenbowle for their parents. They have lots of yummy holiday treats. (Feuerzangenbowle is a traditional German alcoholic drink for which a sugar cube is flambéed with rum, dripping into mulled wine). Over 600 fire fighters contribute more than 8,000 hours over the 3 month period of Set-Up, Operations and Tear Down. 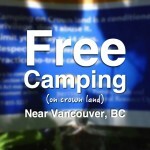 The entry is free or by donation. 3. 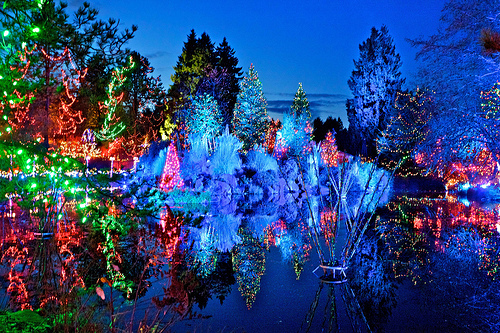 Van Dusen Lights are open from December 11, 2013 to January 4, 2014 (closed December 25) 4:30 to 9 p.m. each evening. 2. Capilano Bridge Lights run Saturday, November 30, 2013 through to Saturday, January 4, 2014 (closed December 25). Park hours are 11:00am – 9:00pm. Canyon Lights tickets are valid all day with holiday activities beginning at 4:00pm. 1. Fly Over Canada Christmas Edition from November 29 to January 5. Fly Over Canada is an IMAX show, with a semi-spherical warped screen, and 7.1 dolby stereo. 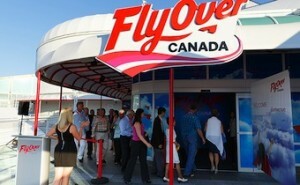 FlyOver Canada is open year round, 10 a.m. to 9 p.m., 7 days a week. Shows commence every 15 minutes during operating hours. The total experience takes approximately 30 minutes including the 8 minutes you’ll spend on the ultimate flying ride. Note: on December 24 it’s open from 10:00am until 5:00pm (closed on December 26). Santa Claus is real! And he lives in Canada. You can write him a letter! Traditionally, the Boxing Day (Dec. 26th) is the day after Christmas, when the stores are selling as much leftover products from Christmas as possible. It is comparable to Black Friday in the US. Boxing Day is not considered a public holiday, so most employers will not give you a day off (especially, if you are working in retail or customer service – brace yourselves, it will be a busy day).